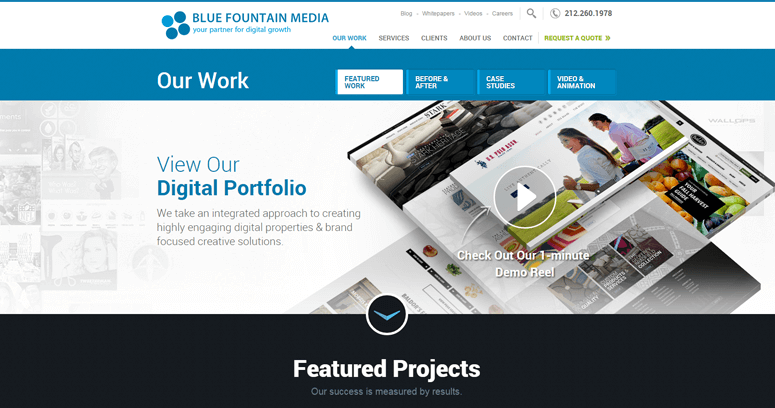 Blue Fountain Media has worked hard for all of their clients over the years, and they have come up with an extremely effective approach to helping their clients grow their brands online. 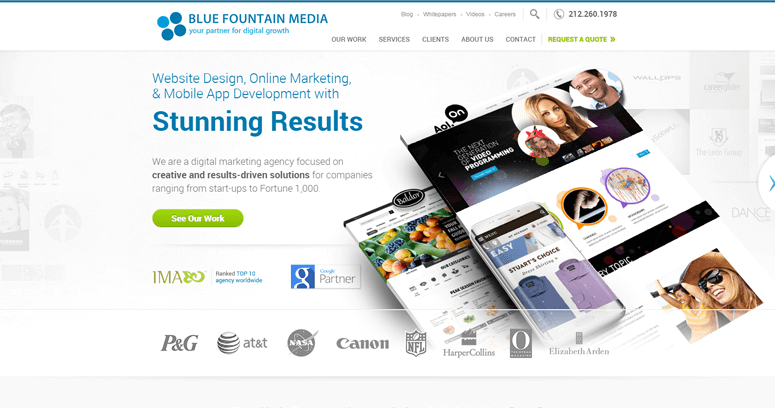 Currently, they have employed the best web designer in the entire industry to come and work for them. That plus their 3 step approach is the reasons they are considered excellent at everything they do. Their 3 steps that they follow when starting a new project are driving qualified traffic, converting visitors into leads & customers, and generating brand loyalty & repeat business. 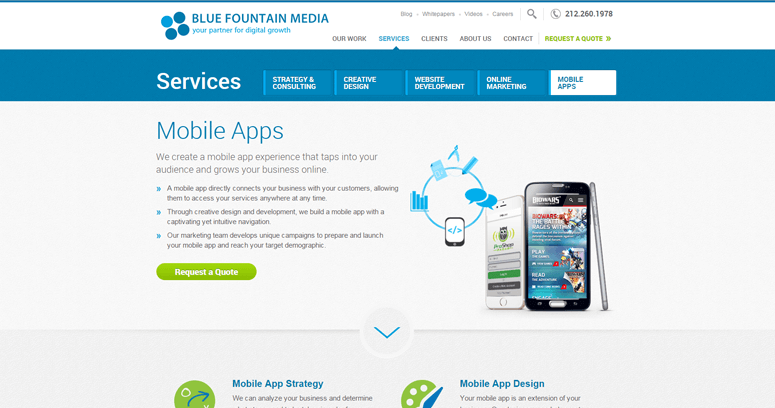 Some of Blue Fountain Media's most popular services are business analysis & consulting, campaign strategy, content strategy & copywriting, logo design & branding, video production, eCommerce design, responsive website development, Sitecore development, social media marketing, pay per click marketing, and mobile app development.